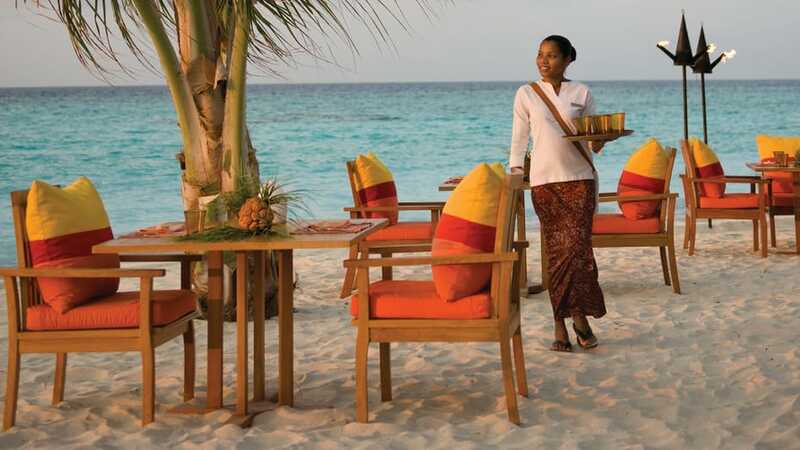 The Four Seasons Maldives at Landaa Giraavaru is a magnificent hideaway in the Baa Atoll UNESCO World Biosphere Reserve surrounded by powder-white palm-tree lined beaches and gin-clear waters that are home to pristine reefs teeming with brightly colored hard and soft coral and a myriad of reef fish. Reached by a 35-minute seaplane ride north of Malé, the luxurious resort features an exclusive Spa & Ayurvedic Retreat offering anti-gravity yoga classes and a range of holistic treatments; several award-winning restaurants and bars serving globally-inspired cuisine; an Olympic-sized swimming pool and elegant sun deck; and a Marine Discovery Centre, where injured turtles are nursed back to health. 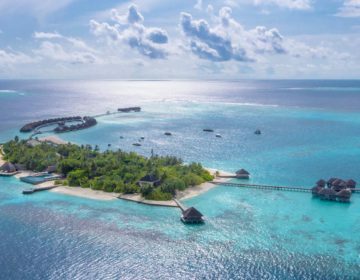 Ultra-private Maldivian-style beach and water villas feature steep thatched roofs, coral walls, designer beds and spacious living areas decorated in island-style hues, as well as enormous bathrooms with indoor and outdoor showers, soaking bathtubs and organic toiletries by Ila. Huge outdoor spaces include private infinity pools, mezzanine-level lofts accessed by a spiral staircase and direct access to the beach or the tranquil waters of the lagoon. Designed by visionary Sri Lankan architect, Murad Ismail, exquisitely appointed accommodations at The Four Seasons Maldives at Landaa Giraavaru range from secluded beach bungalows nestled among the island’s lush vegetation overlooking pristine beaches to luxurious over-water villas perched on stilts over the tranquil lagoon boasting panoramic, ocean views through floor-to-ceiling windows. 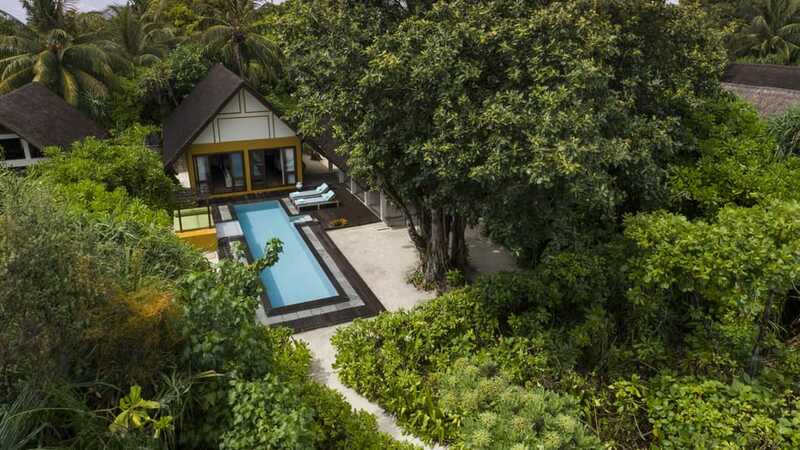 Reflecting regional styles with high-thatched roofs and traditional coral walls, beautifully appointed bungalows and villas boast spacious sundecks, outdoor showers and hammock-nets for over-water lounging. All accommodations feature spacious bedrooms with king or queen size beds dressed in designer linens, deluxe en-suite bathrooms with double vanities, glass-enclosed walk-in rain showers, soaking tubs, and designer toiletries, and spacious living areas with plush décor, and state-of-the-art amenities and technologies. Floor-to-ceiling windows embrace magnificent views, and interior and exterior spaces merge seamlessly and flow out onto ample wooden sun decks with private swimming pools, sun loungers and day beds, umbrellas, and over-water net hammocks. Specialty suites add extra levels of luxury and privacy with multiple bedrooms and en-suite bathrooms, three outdoor showers, spacious living and dining areas, fully equipped kitchens with 24-hour butler services, and several outdoor decks around the property with swimming pools, sun loungers and day beds, umbrellas and over-water net hammocks. High-end technologies include flat-screen SMART televisions and entertainment systems, DVD players, and complimentary wireless Internet throughout. 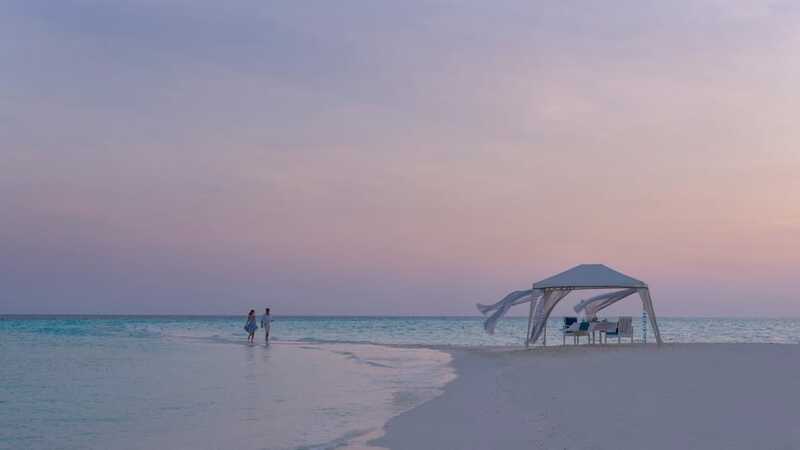 The Four Seasons Maldives at Landaa Giraavaru takes guests on a culinary journey from east to west with several outstanding dining options, ranging from Lebanese, Moroccan and Armenian dishes at Al Barakat to contemporary Italian fare at Blu. 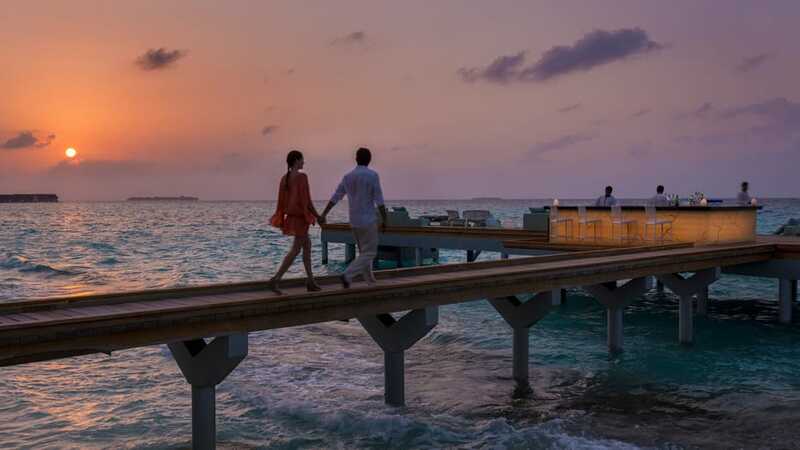 Sip signature frozen margaritas against a backdrop of live music from the resident DJ as you float over the ocean at the Sea Bar, or experience an unforgettable evening with a romantic, candlelit dinner a floating platform in the middle of the lagoon. Named for the North African scholar who made the Baa Atoll his home in the 12th century, Al Barakat is a stylish over-water restaurant with indoor and outdoor-rooftop seating that serves a variety of Middle Eastern cuisine with flavors from Armenia, Lebanon, and Morocco. 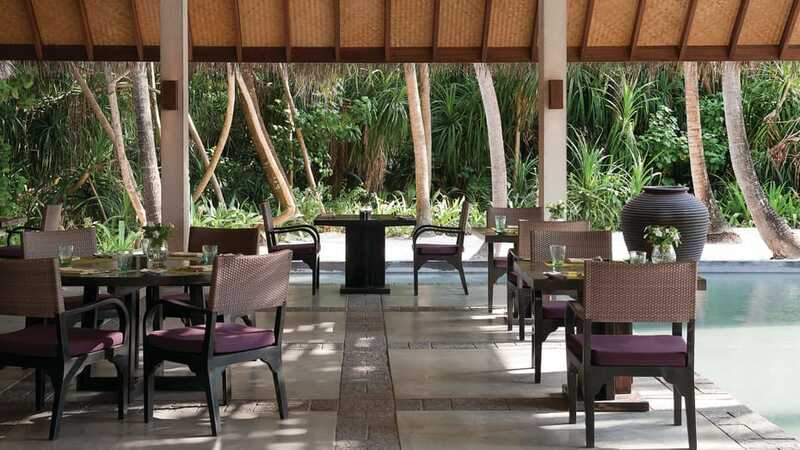 Featuring three, thatched-roof dining pavilions, separated by calming reflecting ponds, Café Landaa serves a variety of Asian and regional specialties including teppanyaki, fresh sushi, tandoori and spicy curries in the middle of a dramatic water garden. This casual, beachfront grill specializes in fresh seafood and catch of the day, as well as a wide selection of organic and prime-cut meats, freshly prepared salads, gourmet sandwiches, and Asian dishes, which guests can enjoy with their toes in the sand. Helmed by Neapolitan Chef Ciro D’Amico, Blu is a contemporary Italian restaurant that offers light Mediterranean fare during the day and a fine dining experience in the evening, presenting creative dishes with a southern Italian twist. Boasting a spectacular over-water setting, Seabar features an expansive floating deck with comfortable décor where guests can sip signature frozen margaritas and colorful cocktails and listen to the tunes from a resident DJ while admiring the lemon sharks and reef fish in the turquoise waters below. A stylish bar at which to enjoy handcrafted cocktails, exotic fruit juices, and sparkling Prosecco before heading to the adjacent Blu for delicious Italian fare. 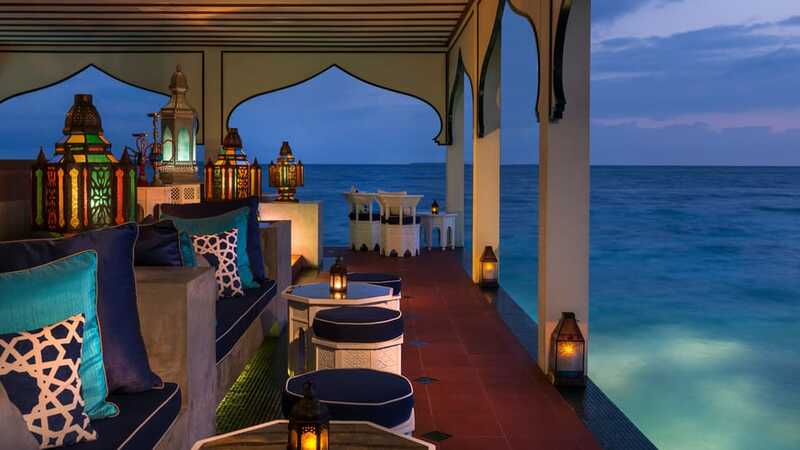 Perched over the lagoon on Al Barakat’s lower level and open to the sea, this stylishly elegant pre-dinner hot spot features ornate lanterns, plush curtained sofas and intimate, exotic ambiance in which to enjoy signature cocktails, Turkish coffee, and shisha. 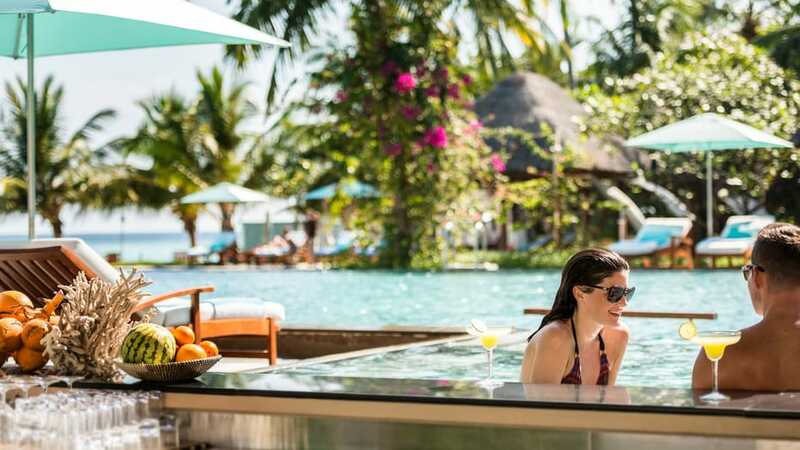 Enjoy salads, sandwiches and lighter fare along with a variety of refreshing tropical drinks and cocktails at this laid-back and relaxed poolside spot beneath swaying palms. 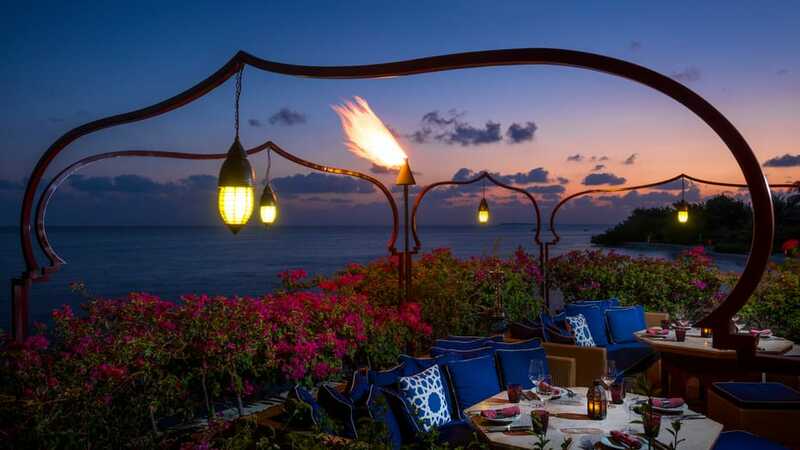 Guests wanting elevated levels of intimacy can enjoy exclusive private dining experiences with personalized butler services in several stunning locales around the island. Relax at a sand-carved, candlelit table beneath a blanket of stars and enjoy a succulent barbecue dinner prepared by your private chefs; sail from Landaa’s Fuego shore out to a floating platform for a romantic, candlelit dinner served by boat in the middle of the sparkling lagoon; or relax with your feet in the sand and your head in the clouds at a private-dining table on Blu Beach, where you’ll enjoy the fresh, intense flavors of Chef de Cuisine Ciro D’Amico’s delectable, Italian cuisine. Inspired by the vibrancy of India’s film industry, Café Landaa’s “Oh Calcutta!” presents a full-bodied, culinary performance every Friday evening with live tandoor, pulao and bhaji stations, as well as lashes of Indian pop, a dash of Bhangra and a special, hip-shaking performance by Landaa’s very own Bombay Boys. Thursday evenings offers traditional bread, delicious dips, Lebanese kebabs, Moroccan tagines, Armenian meats, and the tastiest sweets arouse your senses, with an endless array of Executive Chef Jude Fernando’s culinary blessings, under a canopy of stars at Al Barakat. Stretching from the heart of the island to the middle of the lagoon across 1.2 hectares of lush landscapes and gin-clear waters, the Spa & Ayurvedic Retreat is a sanctuary of peace and tranquility that offers a range of holistic and healing treatments. 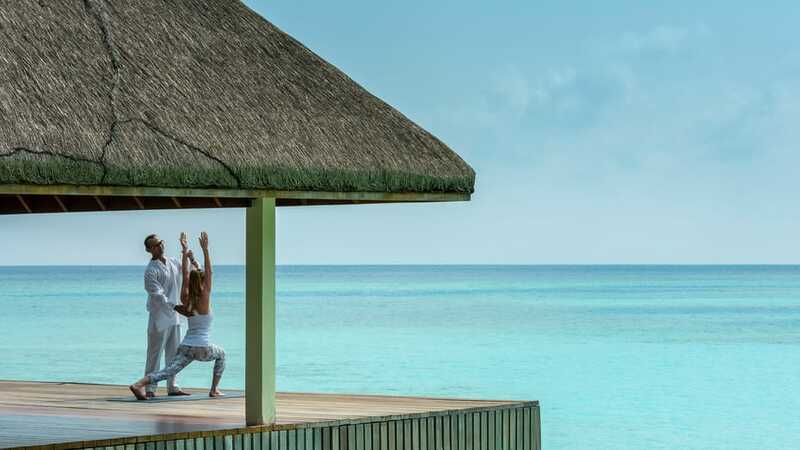 Featuring ten open-air pavilions with treatment rooms, yoga studios and over-water massage rooms, the spa offers a variety of intensive, highly personalized, Ayurvedic detoxification and cleansing programs, as well as Anti-Gravity, Aqua and Ashtanga Vinyasa yoga sessions by resident yogis. A full-service hair and nail salon has expert stylists to make sure you look and feel your best while you enjoy fresh fruit juices, herbal teas and a selection of music and books against a backdrop of stunning ocean views. 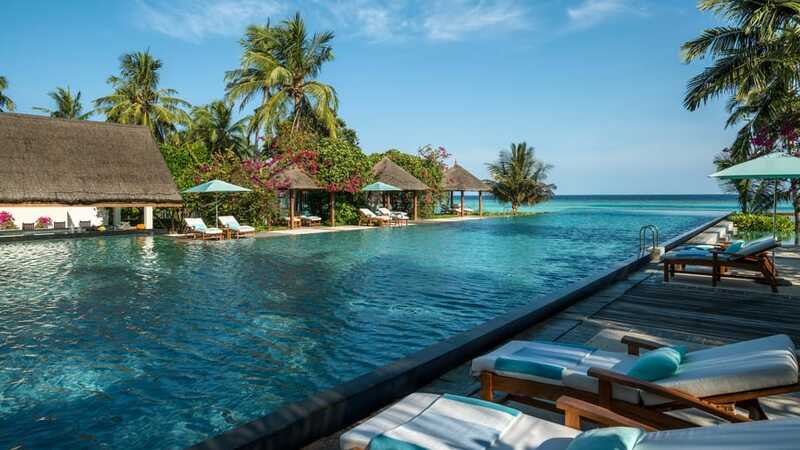 The Four Seasons Maldives at Landaa Giraavaru boasts a wealth of recreational activities and sports to enjoy from scuba-diving, snorkeling, and swimming with manta rays to dhoni excursions, kayaking, and big game fishing. 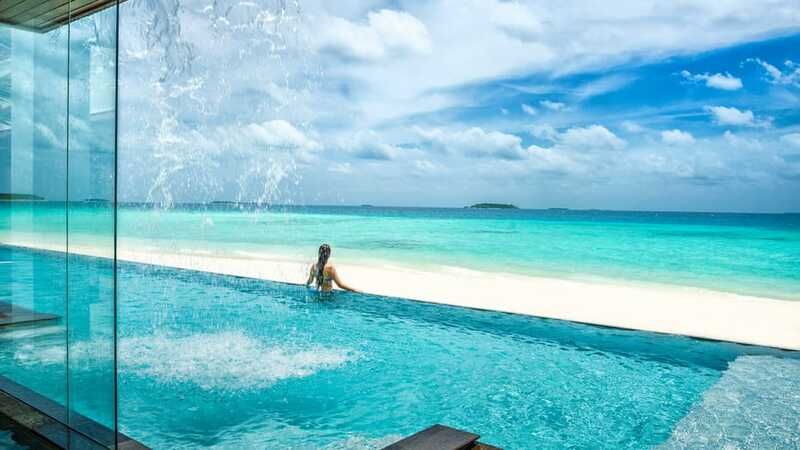 Other complimentary outdoor recreational activities include a 50-meter outdoor infinity swimming pool that seems to merge with the ocean, along with three other swimming pools, including a children’s splash pool; pedal boats, canoes, kayaks, and stand-up paddle boards. 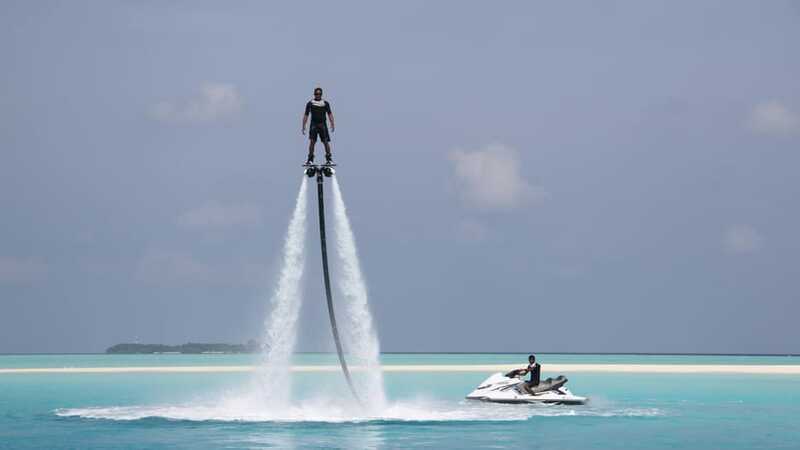 An underwater submarine takes guests on a journey along the reef to see the magnificent underwater world of corals, fish, turtles and more, and adrenalin-pumping activities include jet-blading and hoverboarding, jet skiing, wakeboarding, wakeskating, kneeboarding, and jet-packing. Enjoy day and night fishing charters, dolphin watching excursions, catamaran sailing, beach volleyball, and windsurfing. Guests can also take a sunset cruise on a traditional dhoni, or head out in search of dolphins, turtles, manta rays and other amazing marine life in a guided wildlife watching trip. 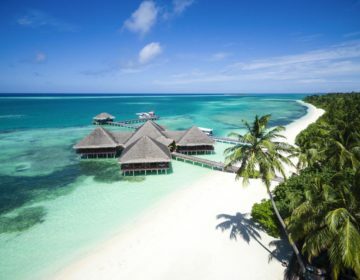 The Four Seasons Maldives at Landaa Giraavaru is the ultimate haven to begin a life together with several romantic wedding venue locations to exchange your vows, ranging from the powder-soft Maldives beach or magnificent sand bank to floating above a UNESCO ocean in the over-water Wedding Pavilion. 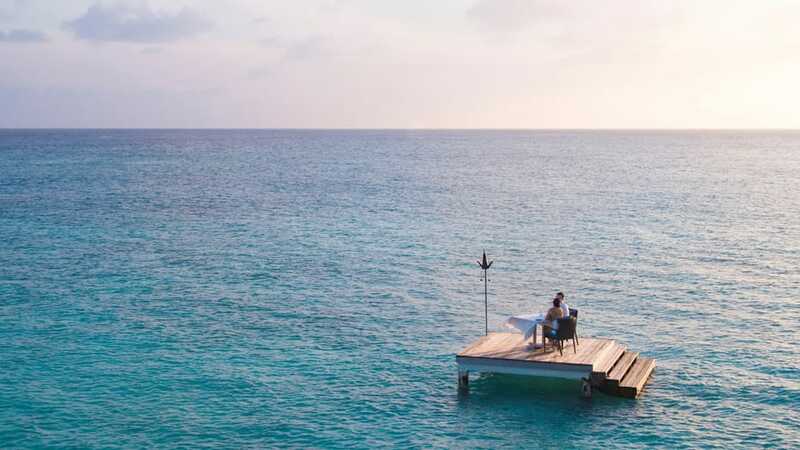 Surrounded by an endless UNESCO blue, and accessible only by boat, the new overwater Wedding Pavilion elevates beach nuptials to a spectacular over-water vantage point, for everlasting views and memories. 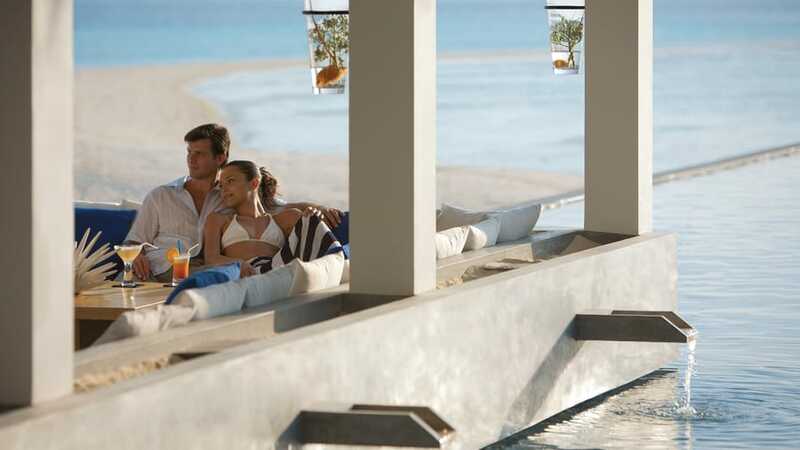 The Four Seasons Maldives at Landaa Giraavaru defines the essence of a superb honeymoon with a range of romantic activities for two, including Champagne breakfasts in the privacy of your bungalow or villa, romantic candlelit dinners for two in your bungalow or villa, or on a beach or sandbank, relaxing massages for two, picnic baskets for two, special occasion packages, and Four Seasons Explorer cruises. 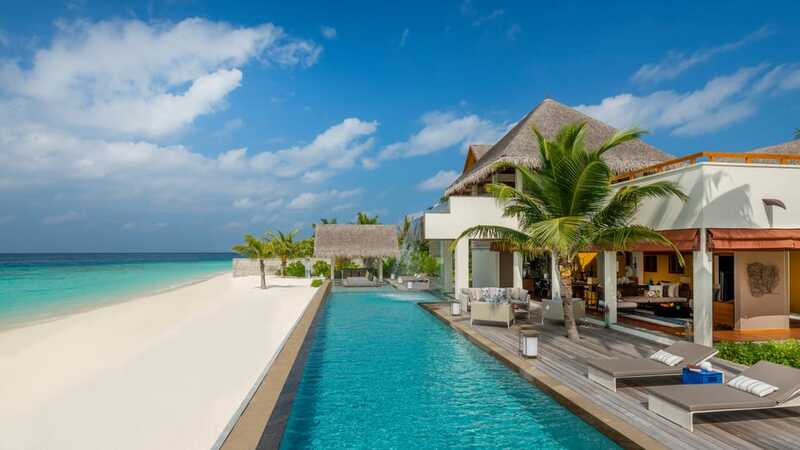 The Four Seasons Maldives at Landaa Giraavaru has a variety of fun-filled activities for the whole family to enjoy. The resort has an exclusive children’s club called Kuda Velaa (little turtle) Kids’ Club, which offers children between the ages of three and 12 years an opportunity to explore the many delights and wonders of island living under supervised care. 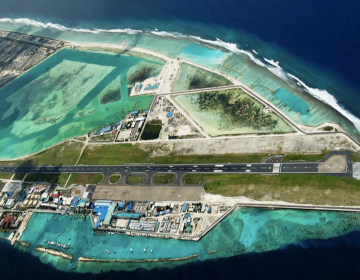 Led by a team of highly trained childcare professionals, kids are shown the rich culture and spectacular natural beauty of the island, as well as given a chance to enjoy some high-energy sports and outdoor activities, ranging from art classes to treasure hunts. Teenagers are also catered for at The Four Seasons Maldives at Landaa Giraavaru with the resort’s complimentary Majaa Maizan (young adults) Club, where guests between 12 and 17 years can get together, explore the island or just hang out, under the supervision of highly trained and enthusiastic supervisors. Teens have a chance to enjoy a wide range of activities from learning the local language and dances to taking part in beach and water sports or going on exciting adventure trips around the island.